THE BIKER GUIDE is 5 years old! With millions of visitors from over 170 countries, 1,000’s of news articles, 100’s events, meeting places and businesses listed and so we have fast become ‘THE’ place to look for any bike/Motorcycle related information on the great world wide web! 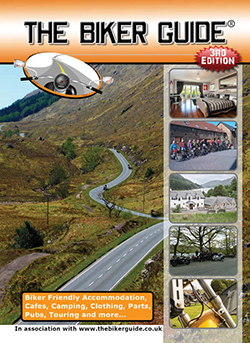 THE BIKER GUIDE® is promoted through a variety of means such as banners, business cards, large facebook groups, THE BIKER GUIDE booklet and more, similar to a printed magazine, free and easy to use. In the last 5 years we have also given away many prizes in our competitions for holidays, tickets to events, books, dvd’s, t’s and more. They encourage feedback and recommendations, where visitors actively contribute to events, news and content to help build a fast growing web-site packed full of everything to do with the Biker community! Also a section for Motorcycle Club links and free event listings. We would like to thank all our all our visitors, friends, customers, contributors and supporters! 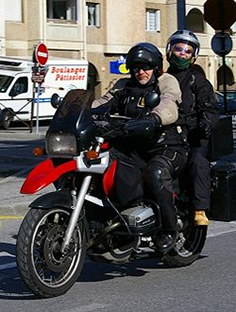 THE BIKER GUIDE is a Right To Ride Business Supporter!